Bali. The land of Bintangs, beautiful landscapes, beaches and bronzed skin. A travellers dream, a foodies paradise and an instagrammers heaven. 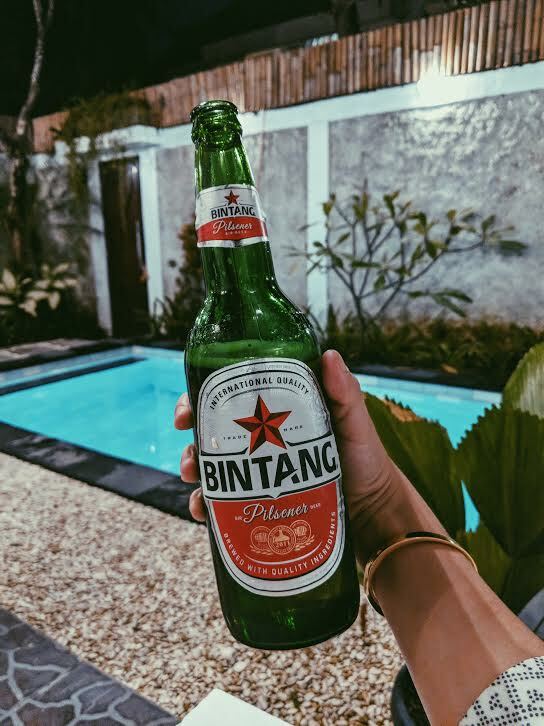 This was my second time in Bali, after spending over a month there the first time, so I think it’s safe to say I think I know the island fairly well. This was a trip to refresh many of those amazing memories from over 3 years ago and to refine my expertise on all the island has to offer. So sit back and relax (it’s only most appropriate) I’m here to offer you what I believe are the best couple of weeks in Bali you could get! 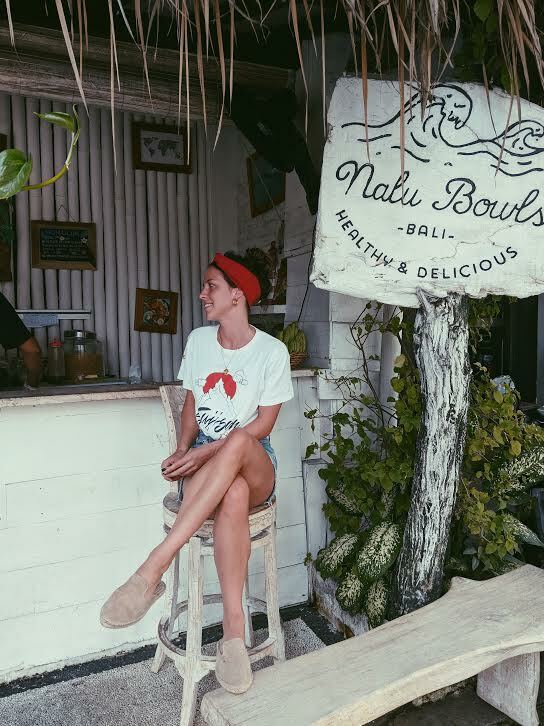 This blog post is split in to four main areas in Bali. Even though I have visited other places, these were my personal favourites. 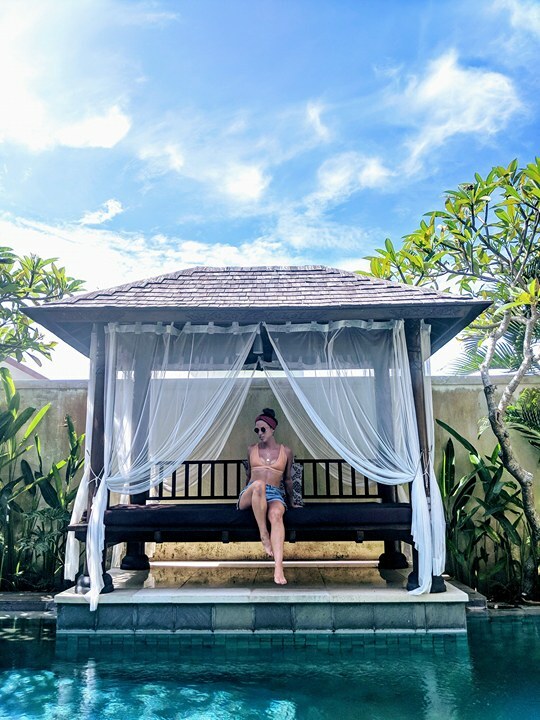 UBUD is definitely one to go and visit as well (even if it's just to see the monkey kingdom) however personally a couple of nights there was enough for me so I haven't delved in to it in this blog post…. This was an amazing little villa we found by luck on bookings.com and upon arrival, we were so pleasantly surprised. There was only two of us, but we had our own pool, outdoor lounge bed and a whole open kitchen and living room area. The double bedroom was huge with an ensuite bathroom decked out with a luxurious huge bath tub and outdoor shower. It’s only five minute drive from Berawa beach and super close to all the cafes and shops. We intended on staying 1 night and ended up staying 4, so it’s fair to say we absolutely loved it! This is a great spot for breakfast or lunch and is super cute! White washed walls, wooden seats and big green plants, the scandi interior looks nothing short of a scene from the flinstones. They have an amazing range of fresh juices and super healthy vegetarian options. As you can tell by the title, they are famous for their ‘bowls’ . 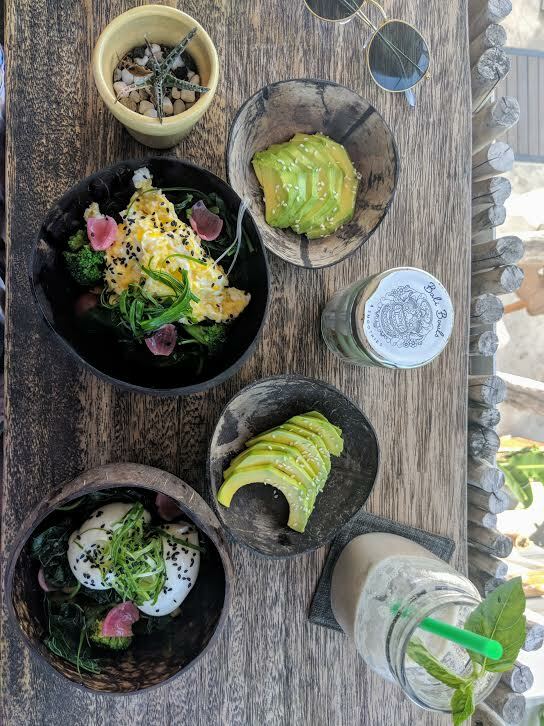 These are not only amazing fresh fruit bowls full of tropical fruits but they also do a variety of savoury bowls, like scrambled eggs with veggies etc SO good! This was a little spot we stopped by for lunch. Really small but again very aesthetic and loads of great delicious and healthy options. TIP: Get the sweet potato burger and the sweet potato fries. Mouthwatering! 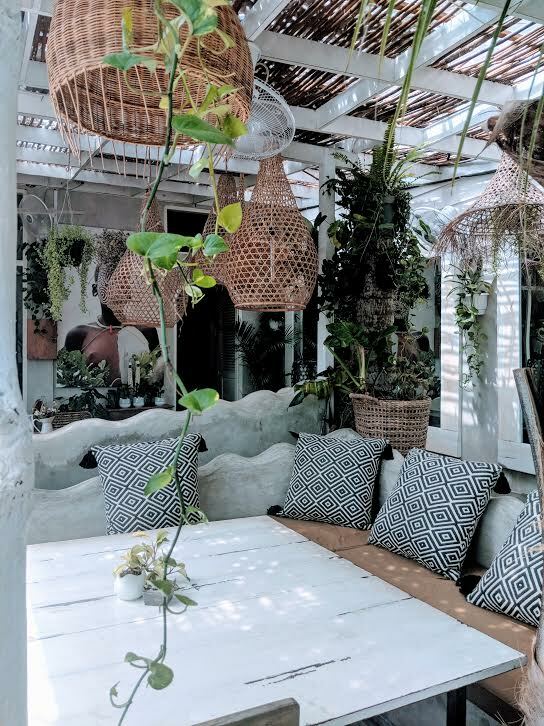 So this is a beautiful spot in Canggu and in all honesty we only had an iced coffee and a couple of juices there, which were really delicious BUT it is an instagrammers heaven. I suggest just checking it out even if you aren’t going to eat, its located right by the rice paddys so its super peaceful. Canggu is one of the best places to surf in Bali and especially great for beginners. If there’s a perfect spot to try, it’s here! The water is warm and the waves aren’t too big. Hire a surf board for a day and get riding those waves with the locals! Lessons are super cheap too and you'll have a lot of fun! 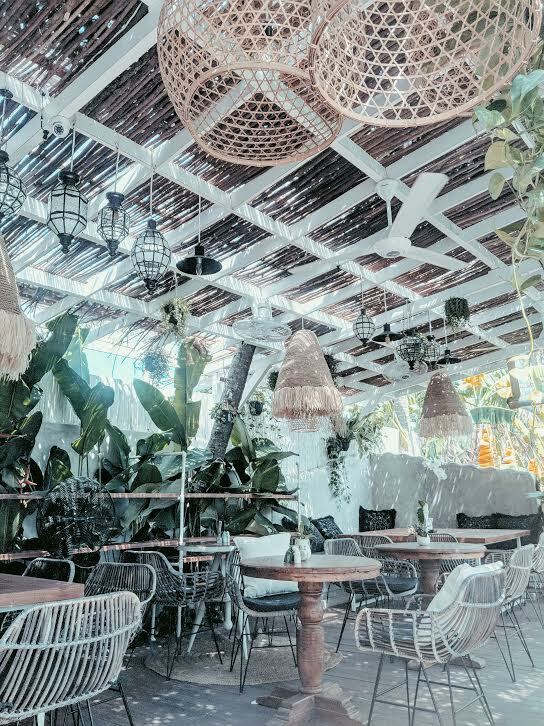 This is an amazing and vibey beach club and one you must try out if in Canggu! It has a huge outdoor pool overlooking the beach and a DJ which plays all afternoon/evening. There is always a great vibe there and the food and drinks are equally relish! The sunsets are absolutely killer so make sure to go for around 5ish before sunset, grab a bintang, lie on one of the sofa’s, listen to the chilled beats and watch the surfers under the picturesque sunset. You can’t beat it! This is a really cool surfer-vibe bar, again right by the beach consisting of a good mix of locals, visitors and expats. It’s like a hip beer garden and most evenings/nights have something going on from beer pong challenges to live bands and DJ sets, however its normally the best place to be on a Wednesday evening! This is another great beach bar / chill out spot. Hang out and sun tan on the lawn from 11am onwards, whilst watching the long board surfers slide along the Canggu waves, directly out front of the premises. Or head in the evenings to watch the magical sunset and listen to the DJ spin some chilled tunes. TIP: Try the Mojito. So yum and refreshing! Uluwatu is in the south of Bali. It is more rural and less built up than a lot of the other areas but you will find the nicest beaches here. Expect a very laid- back surfer vibe. Don’t expect many shops, restaurants or nightlife. 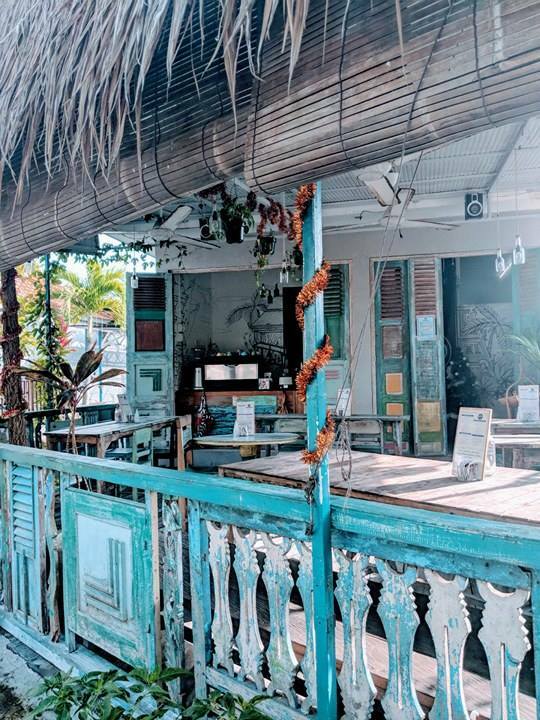 You won’t find as much to do as you will in Seminyak or Canggu but you do get a real authentic bohemian feel to it which I absolutely love. It's super chilled and a surfers paradise! Now both these places are located on Bingin beach. This time round we stayed at Bingin Ombak but previously we had stayed in Kellys and both are next door to one another and pretty much identical. If you’re looking for luxury then these places are DEFINITELY not for you. They are extremely basic but their charm is their location slap bang on the beach. Open your balcony and the sea is below you, go down the stairs and you're in the sand. If you like the sound of falling asleep and waking up to the sea, then this is the place to be. I loved it! We paid around £40 / night for this accommodation and the staff went compleltey above and beyond to accommodate us and helped us with all our luggage. This is the best breakfast / lunch spot on the beach. Sit in the sun on the stools and poofs whilst watching the surfers ride their waves. A lot of healthy options with local produce and great for veggies too. TIP: Go for their breakfast Pitaya bowls. Full of loads of fresh blended tropical fruits! Nom Nom...OH and great for that insta shot too. The Veggie breakfast toastie. Enough said. This place has only just opened its doors and I think it is going to be one of Single Finns biggest competitors. Located on the cliffs overlooking the ocean, the views are to die for. This bar / restaurant / hotel is amazing! 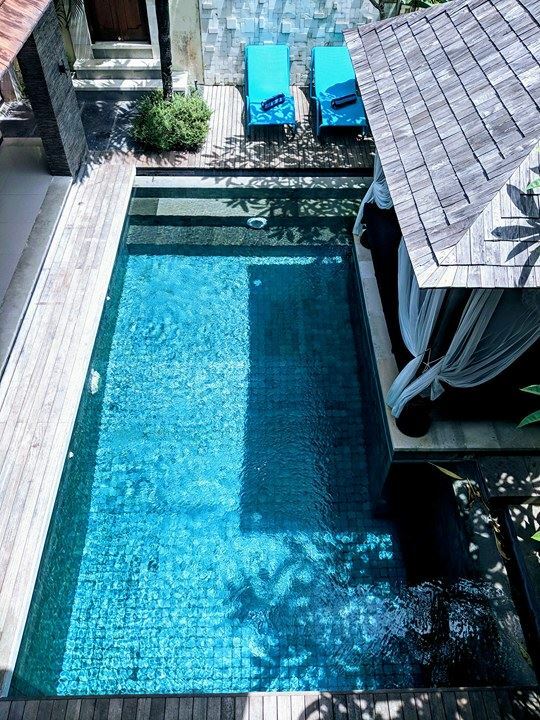 Perfect for a chilled day by the pool, listening to the DJ play some chilled house and sipping on cocktails, yet equally as great in the night as the music kicks off on an amazing sound system, strobe lights flow and the party gets pumping! We had an amazing night there.Check out the line up of DJs too, they have some really good ones playing. Cashew Tree is a great place to hang-out, enjoy a bohemian community and eat fresh, healthy food. Go on Thursday night as they have live music which is a fun, community style event. Usually a surf-reggae themed band comes in, there's a DJ that plays house and trance between sets. It's entertaining and a great place to mingle! This was my second time to Seminyak and in all honesty it was a lot busier and built up than it was three years ago. It is more hectic than Canggu and Uluwatu and there are many more restaurants, high-end shops and hotels etc. 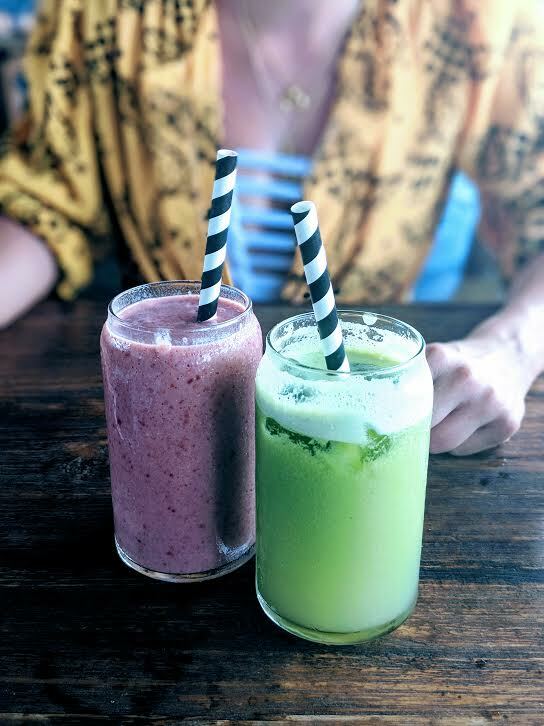 If you want to do a spot of shopping, Seminyak is your place and if you want to go for a really nice meal you’ll be spoilt for choice here. However, if your looking for something very chilled, quiet and peaceful, Seminyak won’t be this. We ended our trip staying at these villas and they were amazing. They're a new set of 19 exclusive Villas designed for the discerning travellers. They come with a private pool, well equipped kitchenette, comfortable lounge area, as well as an amazing bathtub and outdoor shower! Dreamy! This was around £130 a night. Again, not the cheapest for Bali, but for this place, well worth the money. This place is the bomb! If you haven’t heard it then you’ve probably seen it all over instagram (well our instagram anyway). They are famous for their tropical fruit bowls which are divine! They source all their fruit daily infusing the tastes of the local dragon fruit, coconut flesh, mango papaya, spinach and banana. Healthy and scrumptious! Tip: Go for the Mavericks bowl. Yum! TIP: Order a side of polenta fries with parmesan and truffle aioli. They are utterly delicious! This is the perfect place to go for a fun and delicious Mexican dinner. There’s such a great vibe in here and after about 7 it really starts to kick off. The music turns up, people get up dancing on the tables and margaritas are ordered left, right and centre. The food is really tasty (The Fish tacos are INSANE!) and all the cocktails are delish! Be sure to wear your dancing shoes because it will most likely turn in to a wild night! Ok, so if you’re in Seminyak, spending a day and watching the sunset at Potatoe Head is an absolute must. Live DJs play by the pool whilst you chill and sunbathe on your beach beds being served delicious cocktails and yummy food. Definitely stay for sunset. One of the best I’ve seen in my life. The whole sky lights up a pinky orange colour. Absolutely stunning. TIP: Make sure you go early doors around 11am to reserve a bed for the day. They get booked up fast! This may not be for everyone. But if you don’t mind spending a few bob, the W hotel is really pretty and we spent a day there chilling by the pool as the hotel is beaut and really picturesque. It’s worth going there even just for a visit. The seared tuna wrap is a MUST TRY as well! This is the place for a perfect candlelit beach dinner.In fact its the only place we went for dinner on the island (slightly guilty) only because the food was SO good and fresh, we had to go back! Scallywags is a great beach bar/ restaurant serving a variety of seafood, barbecue, American , Asian food, European and also caters for the veggies and has gluten free options. Tip: Get the calamari for starters. I'll be surprised if you don't order a second round! I highly recommend renting out a couple of paddle boards in Gilli. The water is so calm so it's really easy to do and you’ll definitely have a laugh (if you do it with someone). 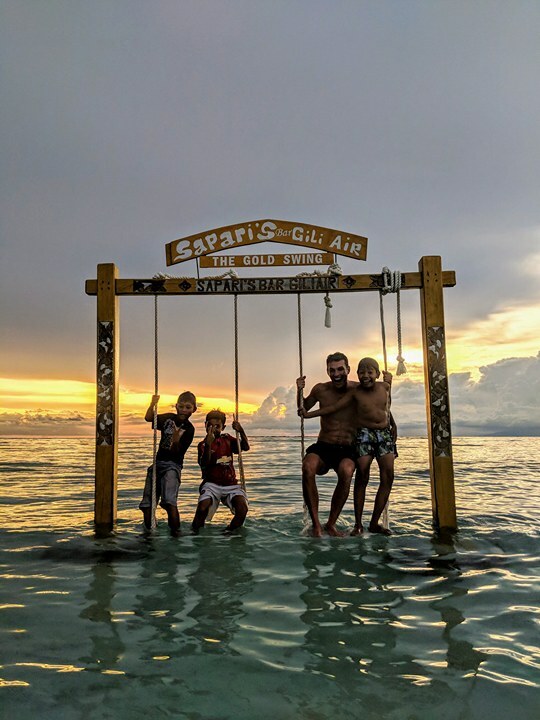 The first time we did it in Gilli T it suddenly began to rain and almost magically, out of nowhere, appeared this beautiful rainbow followed by a pod of dolphins jumping around us on our boards. It was insane! This time round, we unfortunately saw no dolphins or rainbows but instead schools of flying fish which was also pretty cool. Haha. We did a spot of meditation on the paddle boards too. Pure serenity. Rent out a couple of snorkels for the afternoon and go swimming in the clear waters. You’ll be sure to spot some beautiful, multi coloured and tropical fish. There are loads of yoga classes which take place in the mornings. Go for a cycle round the island (it takes less than an hour) and you’ll find loads of signs pointing to yoga classes. Breath and stretch whilst watching the sunrise. The perfect way to start your day!